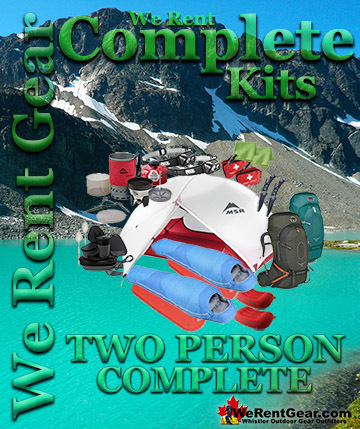 We rent complete hiking, snowshoeing and camping kits. Relax and let us do all the work for you! All you need to bring are food, water and warm clothing. Backpacks, tents, stoves, sleeping bags, sleeping pads and a whole lot more. Whether you are short one backpack for your group or need to fully equip everyone, we have you covered. 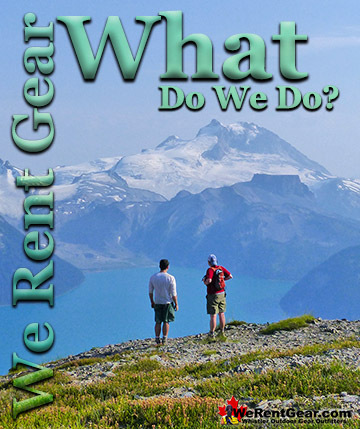 We rent all the best, highest rated hiking gear you will need to enjoy hiking in and around Whistler and Garibaldi Provincial Park. 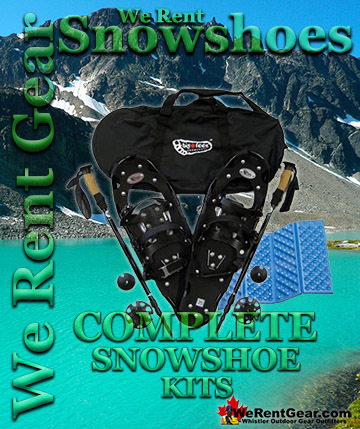 We rent complete hiking, snowshoeing and camping kits. Relax and let us do all the work for you! All you need to bring are food, water and warm clothing. Backpacks, tents, stoves, sleeping bags, sleeping pads and a whole lot more. Whether you are short one backpack for your group or need to fully equip everyone, we have you covered. 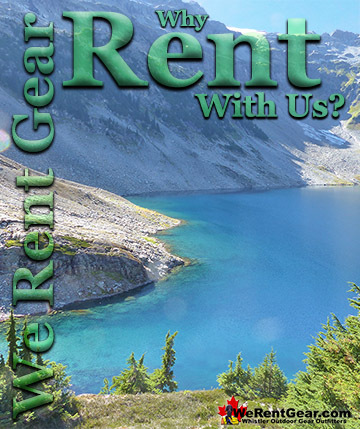 We rent all the best, highest rated hiking gear you will need to enjoy hiking in and around Whistler and Garibaldi Provincial Park. We are proud to offer the best gear at the best prices. 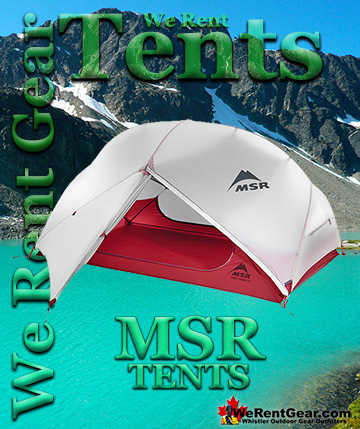 We rent MSR Hubba Hubba NX(2 person) tents. One of the highest rated, lightweight, compact and versatile tents on the market. 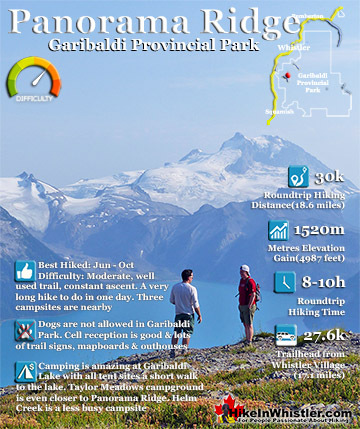 Perfect for overnight expeditions in Whistler and Garibaldi Provincial Park. We proudly rent the best quality hiking gear at bargain prices and with the best service! Designed for backpackers who need a tent that can do it all while still being compact and lightweight, MSR Hubba Hubba 2-person tent feels as light and efficient to use as it does to carry. 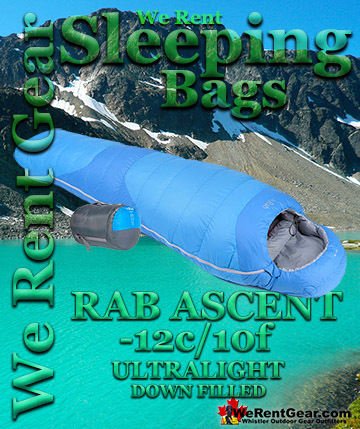 We rent Rab Ascent 700 -12C/10F down sleeping bags. Ultralight, compact and ultra warm. 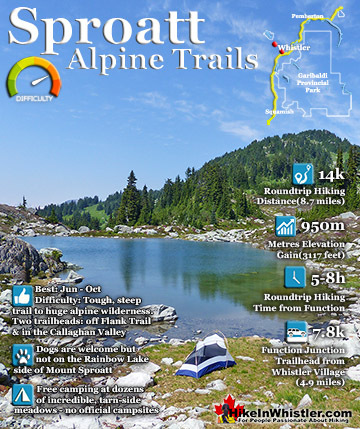 Perfect for overnight expeditions in Whistler and Garibaldi Provincial Park. 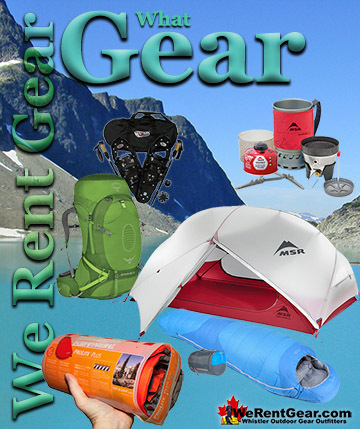 We proudly rent the best quality hiking gear at bargain prices and with the best service! Our sleeping bags come with compression bags, sleeping bag liners and inflatable hiking pillows. Rab's Ascent range of sleeping bags are down filled performance sleeping bags that are very light and compact. 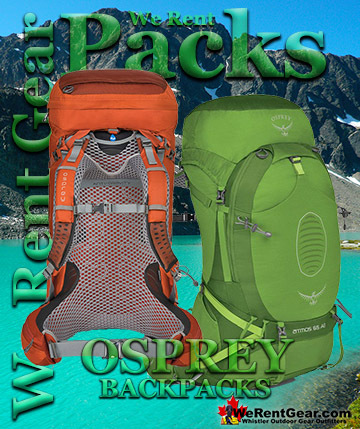 We rent Osprey Atmos & Aura AG 65 backpacks. Widely regarded as the best and most innovative packs in the world. 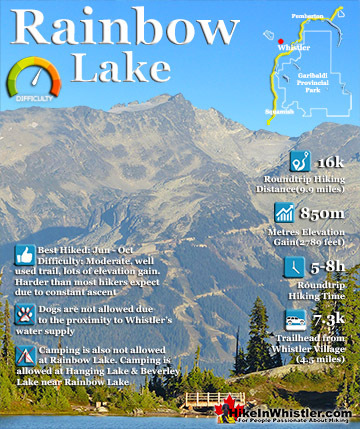 Perfect for overnight expeditions in Whistler and Garibaldi Provincial Park. We proudly rent the best quality hiking gear at bargain prices and with the best service! The Atmos AG™ 65 introduces the Anti-Gravity™ suspension* system to a new line of ventilated backpacks. This 3D suspension system contours your body providing seamless comfort allowing the user mobility with ease on any multi-day backpacking trip. 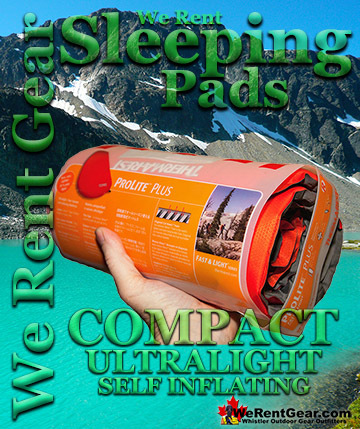 We rent ProLite Plus, all-season, self inflating, ultralight, compact sleeping pads. These compress down to an incredible small size in your pack. We rent the smallest and most compact, 3/4 length(head to knees) pads on the market. 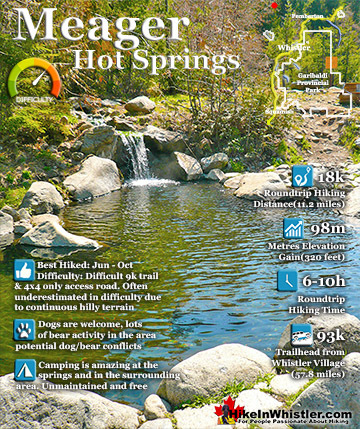 Perfect for overnight expeditions in Whistler and Garibaldi Provincial Park. We proudly rent the best quality hiking gear at bargain prices and with the best service! 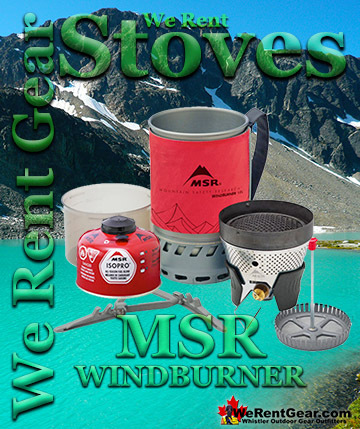 We rent MSR Windburner camp stove systems. These amazing cook sets include a pot, bowl/mug, gas canister and coffee press, all nested together into a small size. 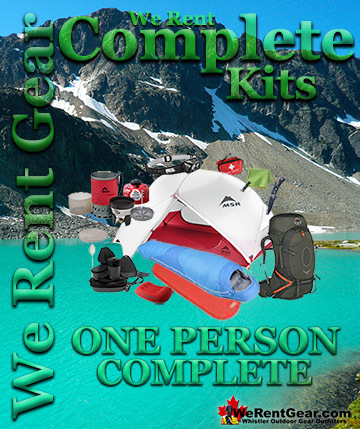 Perfect for overnight expeditions in Whistler and Garibaldi Provincial Park. 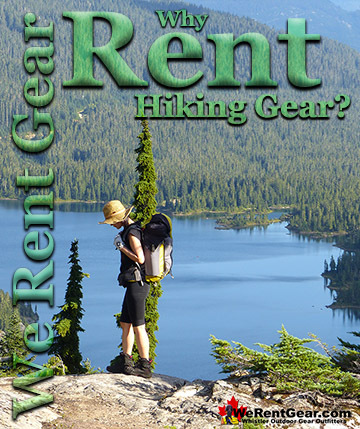 We proudly rent the best quality hiking gear at bargain prices and with the best service! Combining award-winning Reactor® technology with the features hikers need most, the WindBurner Stove System is ideal for backcountry adventures and weekend camping alike. We are happy to deliver within Whistler for free however we have to charge extra for deliveries outside of Whistler on orders under $100. If you would like your gear delivered to the Rubble Creek(Black Tusk), Cheakamus or Wedgemount Lake trailhead please purchase this option. 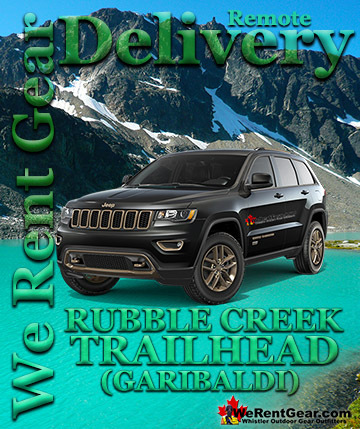 If your rental order is over $100, don't worry, we'll deliver to and pick up from the trailhead for free!